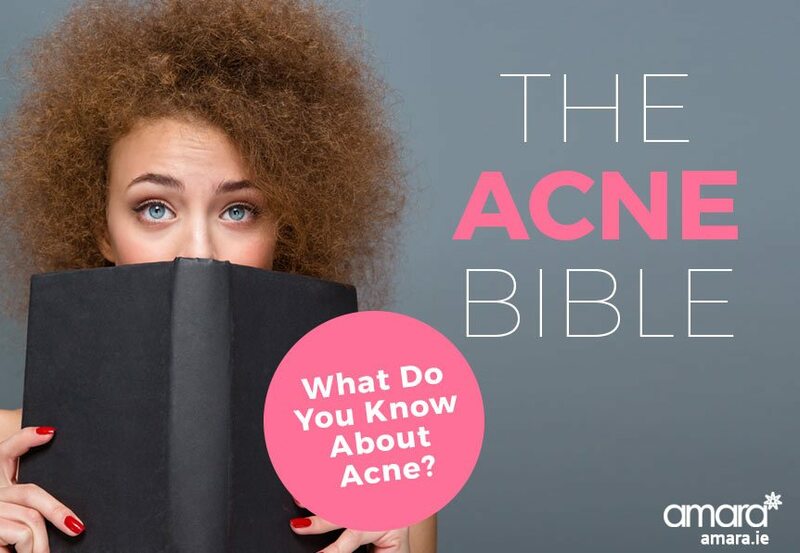 Acne Bible - What Do You Know About Acne? 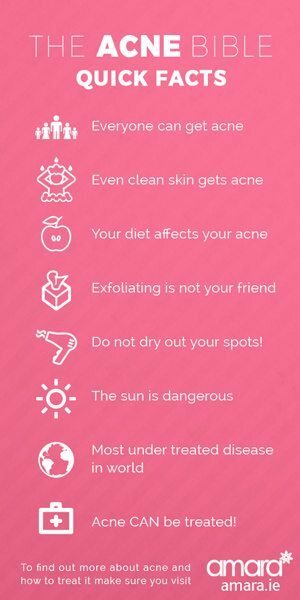 The Acne Bible – What Do You Know About Acne? Did you know that the majority of us will have acne at some point in our lives, many of us in adulthood! Acne is the most under treated disease in the world as many of us do not fully understand it. So what do you know about acne? In this article, the acne beauty bible, we’ll give you the full lowdown on acne, who gets it, why they get it and, more importantly, how you can treat it! Many of us think that acne is only for teenagers when 1 in 5 of us will suffer from adult acne. Men and women aged 25 – 44 can suffer with adult acne. There are many reasons for adult acne such as oil buildup, using the wrong facial product, stress, hormones etc etc. Acne can also be a symptom of an underlying condition that you may have such as hormonal issues. It is important to understand why you have acne before you can fully treat it. Many think that you have acne because you are not washing correctly! Although not washing correctly can be a cause of acne even the cleanest skin can still suffer. Most causes of acne are underlying such as a build up of oil or for hormonal reasons. Over washing your face can also cause acne build up or just using the wrong products. It is so important to use products that suit your skin and can actively fight acne if needed. The Dr ZO Skin Health range is tailored to your skin and has many different treatments for acne and for other conditions such as anti wrinkle treatments. You can have the best diet in the world and still get acne. However for many of us our diet affects when we have bad breakouts. Dairy, gluten and sugar are the number 1 culprits that people complain about that cause breakouts as they can clog our oil glands. On the other hand many foods actively promote good skin health such as dark berries, seeds, leafy greens, nuts, water etc. Wash, tone, exfoliate, wash, tone, exfoliate. For many people this is their daily mantra that has been drummed into their heads over the year. However daily exfoliating can cause damage to the skin, try using an enzyme exfoliator that isn’t as harsh on your skin. Many people think popping spots or covering them with toothpaste is the answer! DON’T! Adding toothpaste or popping your spot drys it out and will allow them to come back again and again. It can also cause scarring as the spot reoccurs. It is important to allow your spots to heal naturally and do not pick the scab or attempt to pop them, it can also spread bacteria and therefore spread more spots. There is no such thing as a healthy tan! A tan means that you have allowed the sun to contact your skin. UV rays are extremely harmful to your skin leading to damage or even cancer. Again the sun may clear up your spots momentarily but it will encourage them to come back again. There are many different ways to treat acne that can vary depending on how severe it is and how long you have suffered. First and foremost it is so important to use the right products on your skin and tailor it to any conditions you have such as acne. At Amara we use the ZO Skin Health range by Dr Zein Obagi. This range is only available after seeing our skin specialist who will have a full consultation with you and tailor your package to all your skin needs. When your daily routine is complete a monthly clean such as a HydraFacial MD is a great way to maintain your skin. Getting a HydraFacial MD treatment can also work wonders to clear up acne as it removes the oil build up in your skin. Medical micro needling can also be done to remove acne scarring from past acne issues however your current acne must be treated first. Do You Have Acne or Acne Scarring? Do you have acne or acne scarring? If so book in for a consultation with our skin health specialist today and we’ll arrange the proper treatment plan for you so you can finally get rid of your acne!